Shelgon in game: 319 Who? Important notice! 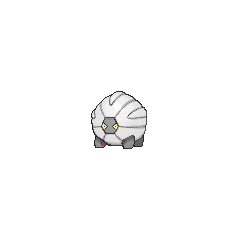 Pokemon Shelgon is a fictional character of humans. 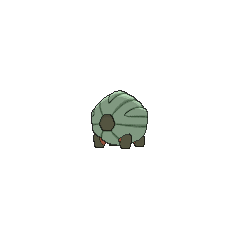 Shelgon is a quadruped Pokémon that resembles a pupal stage. There are bone structures covering its body, which form a shell with two openings and three ridges on top. One opening is in front, revealing two yellow eyes, while the other opening is in the back. 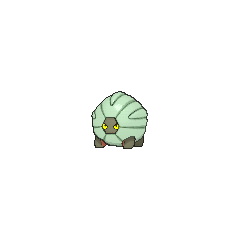 This bony covering repels enemy attacks, but it makes Shelgon heavy. 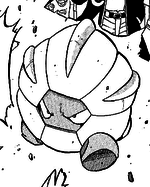 As a result, this Pokémon moves sluggishly and hardly eats. Inside the shell, its body is busy forming for its next evolution. The moment this Pokémon evolves, its shell peels away. Its grey legs are visible protruding from underneath the shell, each with a short red stripe on the inner surface. It can be found in caverns. 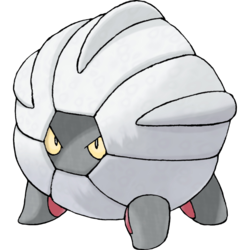 Shelgon was first seen when Michelle's Bagon evolved in Let Bagons Be Bagons. Drake used a Shelgon in Vanity Affair. It defeated Pikachu. Sawyer's Bagon was revealed to have evolved into Shelgon in A Meeting of Two Journeys!. It evolved into Salamence sometime before A Riveting Rivalry!. A Coordinator's Shelgon appeared in Hi Ho Silver Wind! and Deceit and Assist competing in the Hoenn Grand Festival. Drake used a Shelgon in Battle Till The End! Drake, One Of The Elite Four!during his battle with Ash. 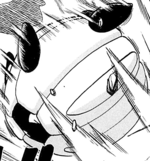 In Pokémon Adventures, Drake uses a Shelgon in an attempt to break open the door of the Ancient Tomb containing Registeel. Inside Shelgon's armor-like shell, cells are in the midst of transformation to compose an entirely new body. 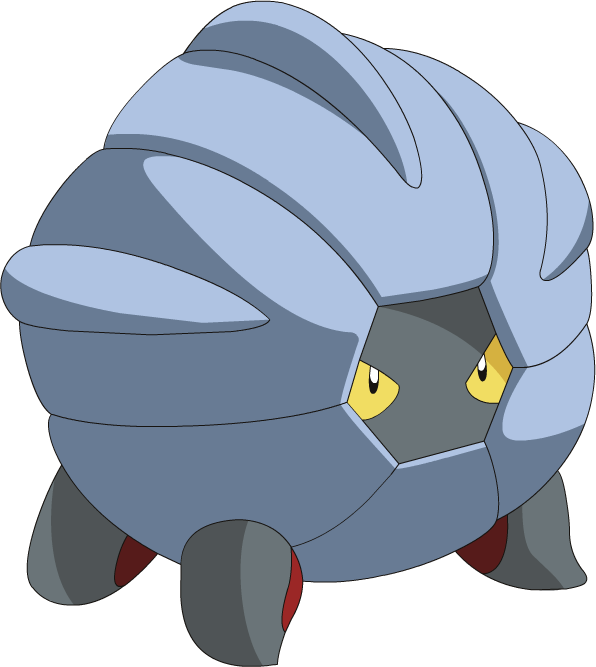 This Pokémon's shell is extremely heavy, making its movements sluggish. Inside Shelgon’s armor-like shell, cells are in the midst of transformation to compose an entirely new body. 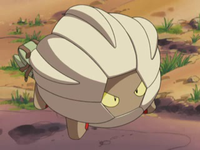 This Pokémon’s shell is extremely heavy, making its movements sluggish.